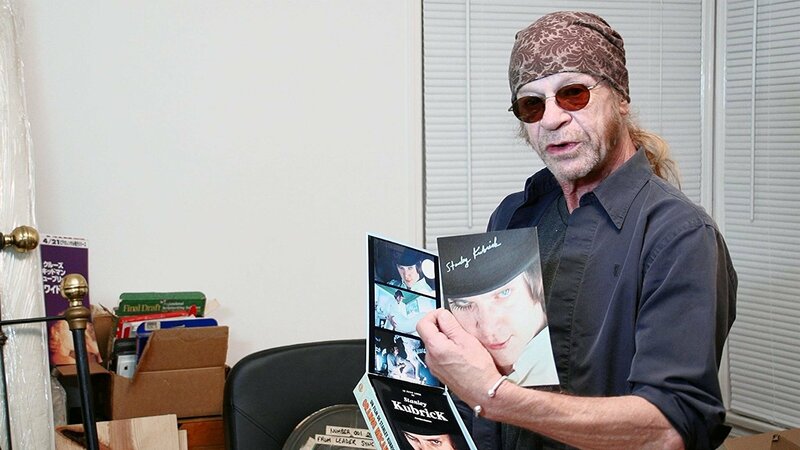 Youthful, talented, and a break-out star of the major motion picture Barry Lyndon, Leon Vitali had fame and glory at his fingertips. Instead, he gave up his acting career to dedicate himself to assisting Stanley Kubrick, director of Barry Lyndon and a titan of the film industry. Vitali worked slavish hours for two decades but earnt so little on Kubrick’s sets that his son helps him out financially. If he is remembered, it will be as a doggishly loyal sidekick to a greater man. What drove him? Why, when he could have had it all (or at least ‘all’ that a fickle industry offers), did he choose such an understated path? Filmworker uses a mixture of talking-head interviews and behind-the-scenes footage to unpick Vitali’s personality and motivations, whilst also providing Kubrick fans unrivalled insider-knowledge straight from his confidant’s archives. Insights into the reality of film sets include Vitali’s ‘Book of Lies’ from The Shining, in which he routinely fudged the hours worked by Danny Lloyd so that Kubrick’s penchant for retaking scenes 30-40 times didn’t contravene child labour laws. If you’ve ever wondered how actors achieve such realistic up-chucks, you won’t be entirely surprised to learn that Kubrick made Vitali eat raw eggs ahead of his Barry Lyndon vomit scene. Footage from a casting couch show a young actress being casually asked whether she’d lost weight, and had she modelled, by an over-friendly male casting agent. Of Vitali and Kubrick’s relationship there is much to be intrigued by. Vitali’s father was a volatile character and his son learnt to step back emotionally from his tempers, perhaps making him a perfect fit for a boss who induced nervous breakdowns in his crew. Kubrick clearly trusted Vitali more than anyone else on set, delegating countless responsibilities that often saw him working sixteen hour days at Kubrick’s home. And yet, Vitali remained in the shadows. Whether this says more about his own humility or hints at Kubrick’s reluctance to share credit, Filmworker doesn’t attempt to answer – perhaps a wise decision given Kubrick’s inability to respond. What does seem clear is that Vitali decided somewhere along the line that the hardship was worth enduring for the opportunity to work for and with a genius. On occasion I found myself wondering who this documentary was about – the employer or the employee. 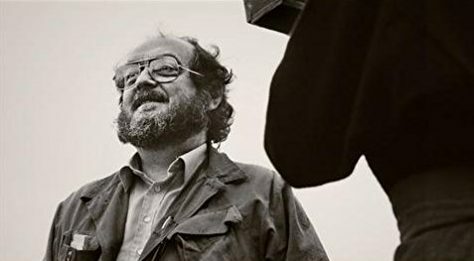 If Filmworker didn’t provide a convenient opportunity to sift through the archives of Kubrick’s creative process, would it have ever reached the cinema? Possibly not, but director Tony Zierra has produced something of value nonetheless. Filmworker won’t be as widely watched as Blackfish and it may not receive the accolades of The Art of Killing (two other Dogwoof creations), but anyone who has worked for an uncompromising boss, takes an interest in film production, or is a Kubrick fan, should consider this an evening well spent. Filmworker comes to DVD on 23rd July 2018. To be in with a chance of winning a DVD copy of the film, simply tweet your favourite Kubrick film to Flickfeast or Facebook us, in either case using #KubrickFeast in your comment. Winners drawn on the 31st July. Good luck everybody.